I have been exploring the internet again and I recently came across Kadria Skincare which I thought was worthy of a blog mention. 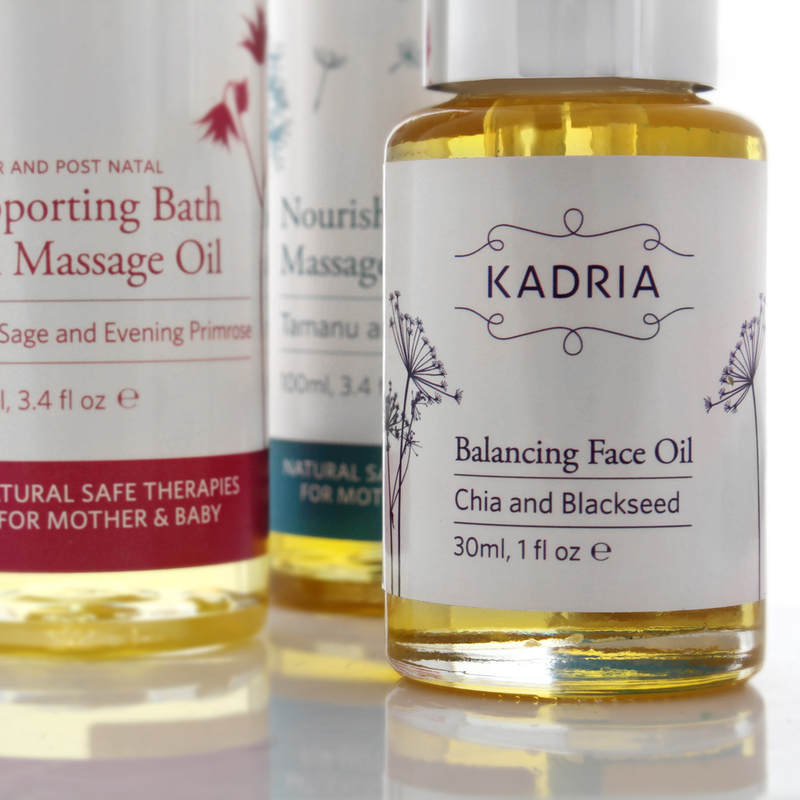 Kadria is a vegan, natural and organic skin care range aimed at expectant mothers, new mothers and their babies. Ingredients are 100% natural, fair trade and organic. Rebecca, the founder, formulated her range to compliment her role as an aromatherapist and pregnancy massage therapist. She found there was misinformation concerning safety of essential oils during pregnancy and thought that her range could give peace of mind to women. Even though Kadria products are aimed at mothers and babies, I see no reason why they would not be suitable for many people. I am always attracted to these types of products because babies have delicate skin and pregnant women often have sensitivity issues and that pretty much sums up what I have to deal with when it comes to my skin. I think Baby Balms are wonderful for patches of dry skin. What do you think? Will you be adding Kadria to your wishlist or perhaps buying for an expectant friend? I remember looking at Kadria a while back as I really liked the look of their facial oil. I think they've re-packaged recently, the range used to be in black glass. Not that this matters though! Still want that face oil! I have Kadria's Balancing Face Oil. It is great even if you are not expecting. It sorts out hormonal skin like nobody's business (may it be acne, breakouts, dryness or uneven skin). We all know those hormonal spots on that time of the month, right? It is so soothing and great! These guys ring a bell, another great find Sarah! Must say they sound lovely and I'm really intrigued by the sound of the facial oil as my skin is really sensitive to hormonal changes!